Few fields witness as much innovation as horology, from the incorporation of modern complications to the use of new materials. Complications, by concept and production, are defined as functions that go beyond mere timekeeping, whether it's the perpetual calendar, moon-phase indicator, tourbillon or the minute repeater. 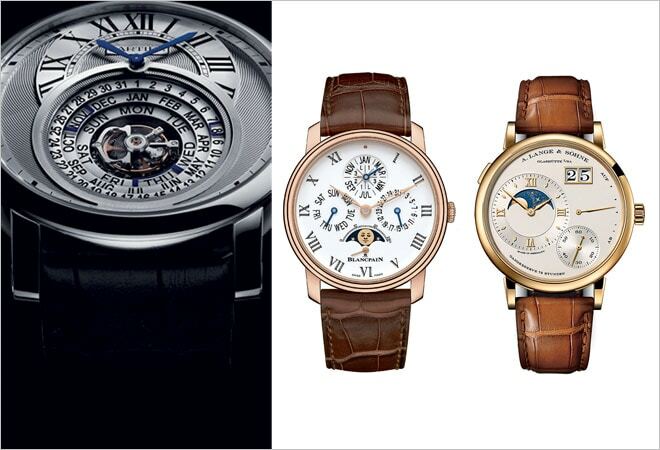 From the technological marvels featured in our list, feast your senses on Montblanc's timepiece tribute to Nicolas Rieussec; Bulgari's revisitation of the 19th century detent escapement technology; and the world's thinnest minute repeater, as found in Jaeger-LeCoultre's Hybris Mechanica 11. Presenting the most practical complications, chronographs and anti-magnetic technologies that were showcased in the Salon International de la Haute Horlogerie and the Baselworld Watch and Jewellery Fair this year. 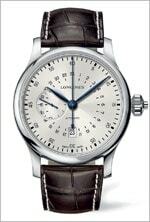 A genuine eye-catcher, the lunar disc in the hour-and-minute circle reproduces the so-called synodic month of 29.531 days with 99.998 per cent accuracy. Made of 446 parts. Inspired by Sebastien Loeb, the RM 36-01 improves upon the mechanical G-force sensor tech that has taken the racing world by storm, indicating G-forces up to 6 G's and proving to be a speedster's best friend. 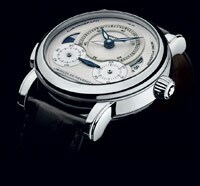 So, what's great about the Villeret Quantieme Perpetuel 8 Jours? Month and leap indicators that don't need adjusting till the year 2100; an attractive moon phase at 6 o'clock; and a broad sapphire case-back that reveals the grace of its mechanism. 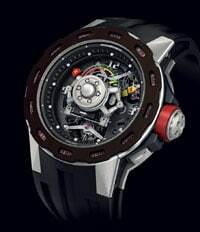 This mechanical marvel is equipped with a flying tourbillon, a high-performance balance spring, a peripheral automatic winding system and the thinnest minute repeater yet, at a mere 7.99mm. A watch that looks as good as it feels, the Ammiraglio del Tempo from Bulgari features a minute repeater activated by an innovative slide, a Westminster chime, and a 19th century detent escapement used in combination with a modern constant force device. 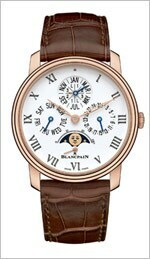 While it's not the first time that a large date has been combined with a minute repeater, nobody has ever offered instantaneous rotation of such a colossal date either. Also, can anybody doubt the melody of a Parmigiani chime? A boon for frequent travellers, this baby makes adjusting the second time zone backward as easy as forward. 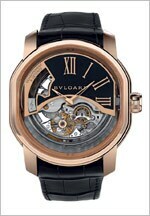 It also boasts of a silicon escapement - a watchmaking marvel that few have been able to master. 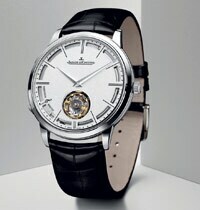 In a first, this watch uses Osium, the rarest metal on Earth, on the dial of its skeleton tourbillon. The result? 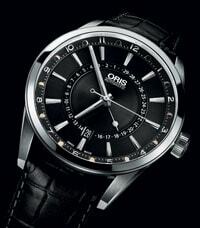 A stunner of a watch. Remember the pretty aviation watches from our yesteryears? Displaying the time in a 24-hour loop, the layout of this watch provides an interesting glimpse into the entire day with a single glance at the dial. Replicating the 1821 'TimeWriter' with a modern twist, this device shows elapsed time through two rotating discs on the LumiNova-pigmented dial - above which the motionless hand indicates the elapsed seconds and minutes. Pure magic. What shines like metal, feels like metal, but is 100 per cent ceramic? 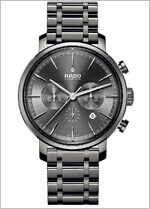 You're right - it's this baby from Rado, the pioneers in ceramic technology. 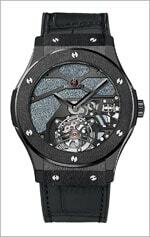 Unlike metal watches, this one is scratch-resistant and hypoallergenic. 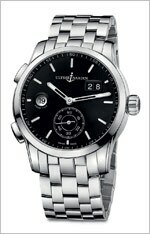 Tired of the traditional moonphase indicator? 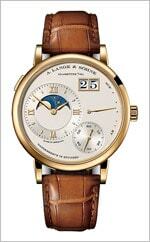 This baby shows the lunar cycle in addition to its traditional date function with a deceptively simple pointer.